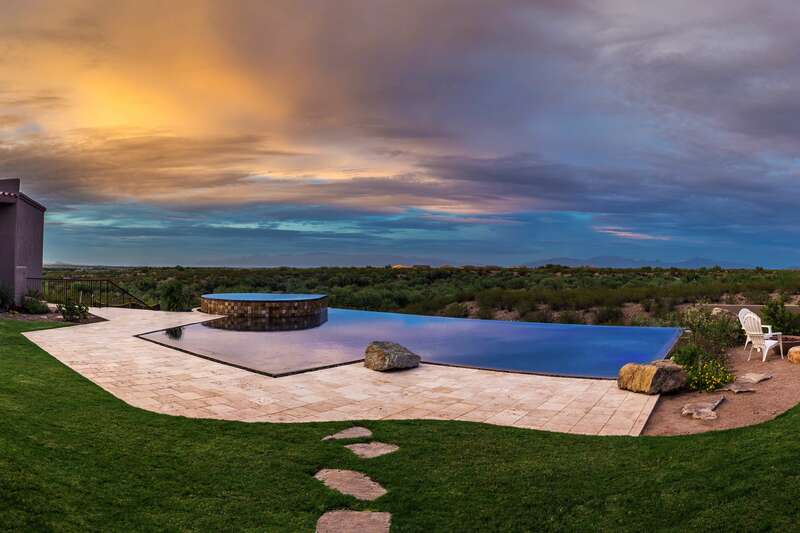 Valley Oasis, your Tucson pool construction company, is committed to building quality swimming pools for Tucson homes using the latest pool design tools and engineering techniques. coupled with a professional pool contractors service. Our qualified staff of Tucson pool builders and construction experts focus on delivering a quality product .. on time and to agreed budget .. to your backyard. We realize that planning for the design, construction and installation of a swimming pool for your Tucson home is a big step for many people, so call our pool construction company to request a free consultation. Draw the pool on the ground to ensure it is in the proper location. At this stage we can make adjustments to the size and shapes. Remove existing dirt from the location of the pool to create the hole where you’ll be swimming soon! Installing the under ground pipes, to deliver water to and from the pool equipment. This can include additional features such as automatic water leveler, in-floor cleaning system and salt-water and ozone sanitation systems. The purpose of the steel is to create the structure of the pool’s wall. We’ll also create steps and other in-pool structural features using steel rebar. We install electrical panels to run pool equipment. The panel usually includes a timer to run your pool system and optional lighting systems. In this stage we apply concrete to the walls and floor of the pool by spraying it through a high pressure line. We’re now in the final stages of your pool build where the visual designs including tile, water features and other items are installed. Your backyard is beginning to take shape with a new deck that will surround the exterior of your pool. You might choose concrete with acrylic, colored concrete, aggregate, travertine pavers, and lot more. The walls of your pool are finished with the surface of your choice. Our experts can install finishes such as pebble-tec, pebble-fina, pebble-sheen, colored plaster and a lot more. We want to make sure you feel as if we’ve never been there! We want to make sure that the access area is in great shape and want to ensure that the backyard is correct. City or County inspector will visit to inspect the work. Once the pool is filled, your backyard paradise is ready for use!